An interview with actor Ethan Hawke, who brought his upcoming directorial effort, “Blaze,” to SIFF Cinema Egyptian in Seattle. 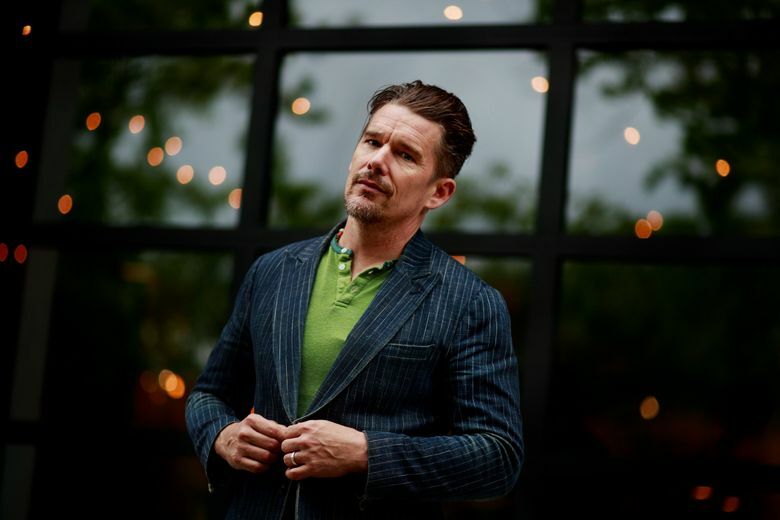 It was lovely that the Seattle International Film Festival chose to honor Ethan Hawke for “Outstanding Achievement in Cinema,” and bring his upcoming directorial effort, “Blaze,” to SIFF Cinema Egyptian the other night. But Hawke couldn’t get comfortable in that chair at the front of the theater. The true star, he said, is SIFF itself. The festival, which closed on Sunday, is now in its 44th year. With more than 400 films from 90 countries, it is also the largest and best-attended film festival in the country. It succeeds, Hawke believes, because it is all about the love of the art of filmmaking. Of telling stories. Still, he doesn’t make the mistake of thinking that he deserves to be feted, to walk into a room and be surrounded, as he was at a reception before the screening, by people who love the films Hawke has been making since his teens: “Dead Poets Society” and “Training Day” and “Boyhood,” a 12-year effort by director Richard Linklater that played at SIFF several years ago. Or maybe they remembered him from his performance in “Cider House Rules” in the mid-1990s at The Seattle Rep. They asked to be photographed with Hawke, whose face still carries the innocence of the sensitive and doomed Todd Anderson of “Dead Poets Society.” He was gracious, posed, chatted and smiled. But still, he said. It’s not about him. He pauses to look around, gather his thoughts. Deep breath. “You know, I didn’t invent the camera and I didn’t invent storytelling,” he continued. “I’m just riding the same wave that, you know, that generations have. “People love going to the movies and hearing stories. I love it, too. I love telling them. What I like about retrospectives … when somebody talks to me about how ‘Gattaca’ moved them, or ‘Dead Poets Society’ or ‘Before the Devil Knows You’re Dead,’ it means that somebody is out there who cares. Especially when it’s one that wasn’t fiscally successful, and knowing that they’re still vibrating. “I love it when somebody talks to me about one, weird specific moment that happened in a movie that I did 17 years ago and that I didn’t think anybody noticed but that we obsessed on creating. He’s hoping that happens with “Blaze,” a biopic of the outlaw country music artist Blaze Foley starring newcomer Benjamin Dickey. 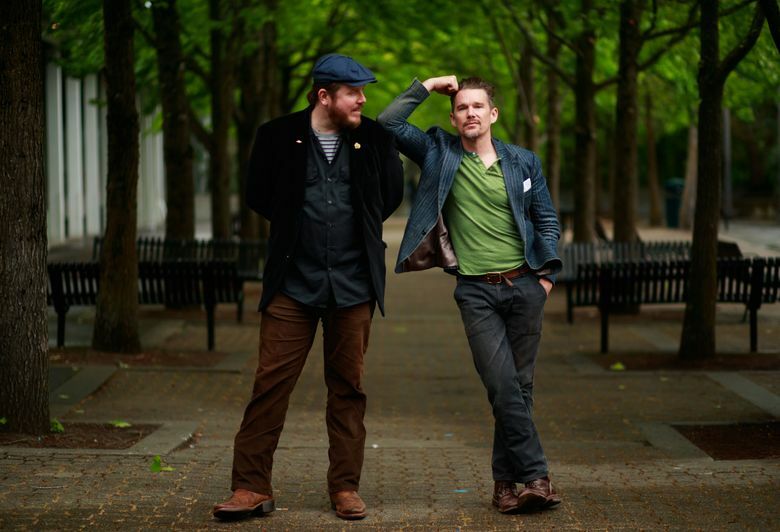 Hawke directed, produced and co-wrote the film, which will be released this fall. “What’s nice about looking at 50 is that I am making the work I always wanted to put into the world. That’s the kind of art I always dreamed I could make. And sometimes you get an opportunity and sometimes you don’t. In the end, so did the SIFF award.